THIS CLASS REQUIRES TEACHER PRE-APPROVAL TO ENROLL. 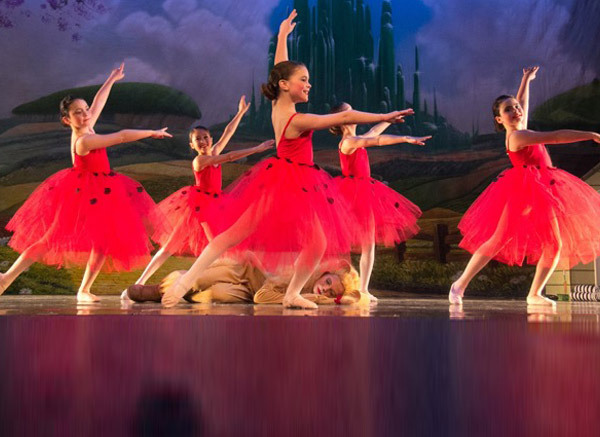 Students will focus only on ballet technique at the barre, on the floor and in the center of the room during combinations. This class is geared to the dancer who is looking to strengthen or further develop their ballet skills. Dancers will continue to execute movements learned in Ballet 1 through 4 adding new terms and movements in class. This level class is designed to ensure the fastest progress for students who attend the recommended number of classes weekly and/or monthly and ballet students should realize that their progress and accomplishments are determined by their attendance and effort in class. Boys: Black shorts and a white t-shirt and black ballet shoes. Girls: Leotard (pink or black), tights (pink), pink ballet shoes. NO skirts or tutus. Hair MUST be pulled back in a bun and out of face.